Welcome! Here you'll find episodes from two shows: Forecast, which features interviews with marketing and professional services leaders; and Marketing Out Loud, a daily podcast where I share marketing advice from the trenches. 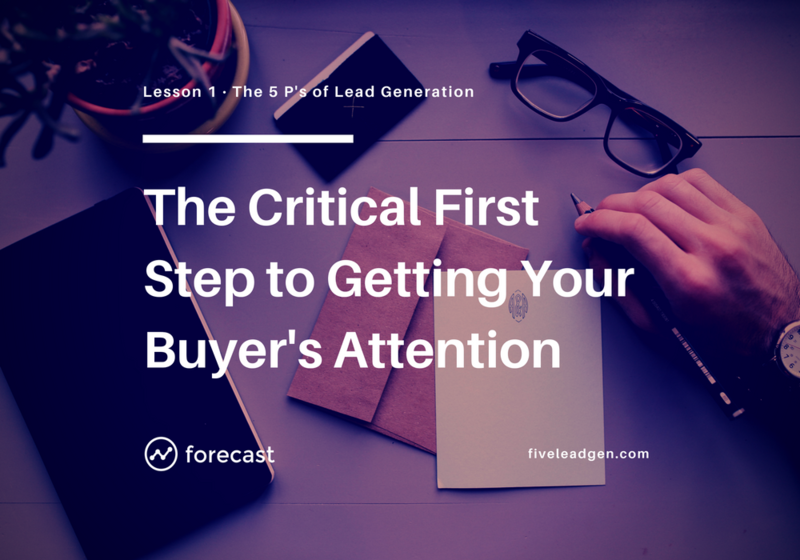 In this lesson, we’re going to look at the first “P” of lead generation — which is “Profile”. Choosing a target profile is the very first step in building a winning lead generation campaign. Not only will a clear and specific profile make it easier to find buyers, but it’ll also help you craft messages that get their attention. 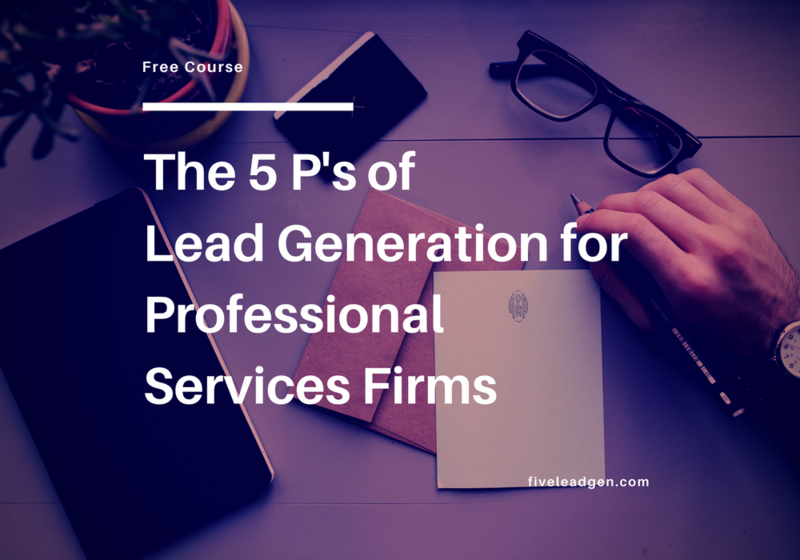 This episode serves as both an introduction to the podcast and the free audio course we’re launching the show with — The 5 P’s of Lead Generation for Professional Services Firms. The first part of this episode covers the story behind the podcast. If you want to skip ahead to learn about the course, fast forward to the 4:25 mark.